This Zoe Mozert pastel image was used both as a calendar for the Brown and Bigelow Calendar Company titled, "My Dream Girl" and as an advertisement for Irresistible Perfume. Zoe Mozert was extremely talented, and captured every detail of the beautiful young women that modeled for her. 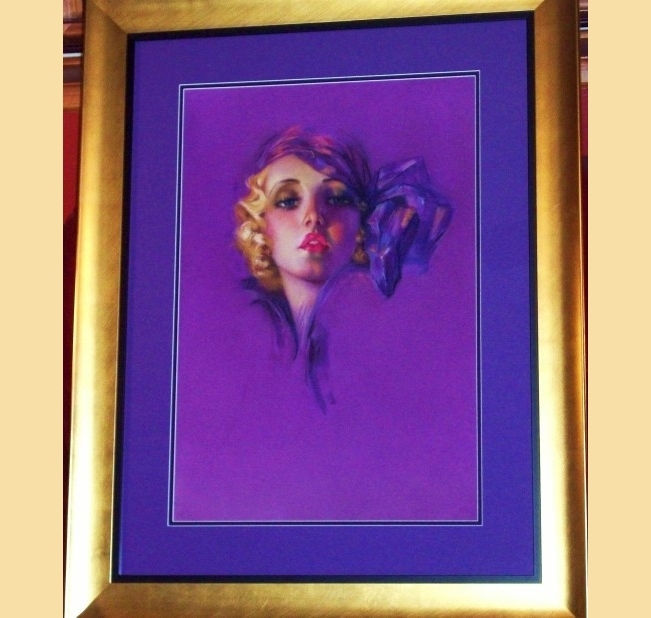 She was an exemplary example of the Rolf Armstrong pastel style, as this pastel so well demonstrates.